Trainer, an Ohio Gatorade Player of the Year at Lebanon High, set a new Indiana record for most strikeouts by a freshman (183), tossed her first no-hitter less than two months into the season, and captured Big Ten Co-Freshman of the Week honors three times. In the first round of the 2016 Big Ten Tournament, Trainer threw a complete game four-hit shutout over Wisconsin, the Hoosiers’ first tournament victory in 10 years. But as Trainer and her teammates quickly discovered, it’s a lot harder to have fun when you’re struggling. The 2017 season saw the Hoosiers finish 23-31, losing in the first round of the conference tournament to Michigan State. It was their fourth losing season in five years. Trainer went 13-17, but led the team in ERA (3.17), threw 16 complete games in 40 appearances, and finished third in the Big Ten with 173 strikeouts. Something about the team’s culture was off, but Trainer couldn’t quite put her finger on it. Perhaps it was the dismal 3-14 road record. Maybe it was a penchant for falling behind early in games. Or, more likely, the Hoosiers had simply begun to be content with mediocrity. Trainer learned the importance of developing mental toughness long before coming to Indiana. In the summer following her freshman year at Lebanon, she faced a crisis that nearly claimed not only her softball career but her life. Trainer had just completed a successful freshman season, leading Lebanon to the Division I state finals before losing to defending champion North Canton Hoover. Doctors told her she might never play sports again, devastating news for a multisport athlete who was already on the softball recruiting radar of SEC and Big Ten schools, including Indiana. The hardest thing during recovery was getting back to the active lifestyle she enjoyed before the accident. After eight months, four of which were spent in a neck brace, Trainer was cleared to rejoin her team the following April. Remarkably, it was almost as if she had never left the circle. In 24.1 innings, she went 4-1 with a 0.58 ERA and 40 strikeouts. She finished her prep career 58-5 with 748 strikeouts and 32 shutouts. Following the disappointing 2017 season, Hoosiers head softball coach Michelle Gardner resigned. Shonda Stanton, who compiled an impressive 560 wins and two NCAA Tournament appearances in 18 seasons at Marshall, took over a program that hadn’t made an NCAA Tournament appearance since 2011. Marshall pitching coach Chanda Bell joined her. When Stanton looked around the Hoosier locker room for the first time, she didn’t see a hopeless mess that would take years to rebuild. She saw a group of bright, talented players who just needed to find their true identity and learn how to demand higher expectations of themselves and each other. But changing the culture of a program doesn’t always happen overnight. The Hoosiers started the 2018 season 4-19 before winning 22 of their next 33 games for a 26-30 overall mark. They went 17-6 in the Big Ten, good for third, and got as far as the conference tournament semifinals before losing to Minnesota. One of those leaders is Trainer. She isn’t the vocal type but lets her work ethic do the talking. 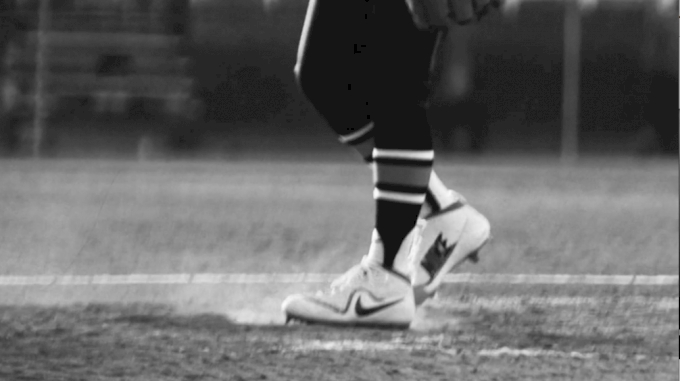 As an example, Bell points to Trainer’s preparation for each opposing hitter she’ll face that day. Bell became the first pitcher in Kentucky history to record 200-plus strikeouts in each of her four seasons. Trainer has eagerly embraced her coach’s techniques of calling a game, attacking hitters, and improving ball spin and finger placement. As a junior, Trainer recorded nine or more strikeouts in seven games, including 16 in a 4-0 complete game shutout over Samford. This season, she moved into second place all-time in school history in strikeouts. She has a knack for luring hitters into chasing her rise ball with two strikes, Bell says, but her go-to pitch is the screwball. This season, the team was 28-10 heading into an April 5 weekend series at No. 23 Michigan but were swept by the Wolverines to fall to 3-6 in conference play. Trainer took a 19-5 record and 1.75 ERA into the Michigan series. She’s tied for second in the country in wins, and her 171 strikeouts rank first in the Big Ten and fifth nationally. Yes, fun times are back in Bloomington. 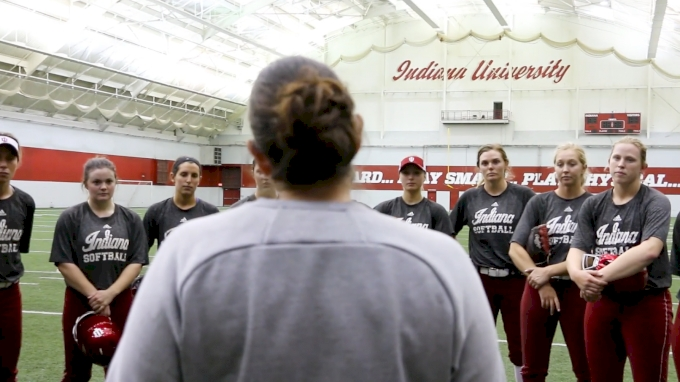 But as Trainer prepares to leave the Hoosiers after this season and start a new chapter, she hopes to pass on a lesson she learned that night in August 2012, when she almost lost everything. “Having success in high school before (the accident), and having to face that, put stuff in perspective,” Trainer said. "You need to make the most of what you have. When you face adversity, you have to develop a mindset that can get you back to the place where you feel comfortable and confident."